On the 29th September 2017, the US Army has decided to purchase an unknown quantity of Trophy systems as urgent material request. General Dynamics Land Systems is responsible for fitting the system to the M1A2 SEP v2 main battle tanks (MBTs) of an Armored Brigade Combat Team (ABCT). It was not revealed yet, if all ninety Abrams tanks of the ABCT will receive the Tropy APS - but it seems rather likely. The Jerusalem Post claims that the system has an estimated costs of about $350,000 USD per tank. By March 2019 all of the M1A2 SEP v2 covered by the contract are expected to have received the Trophy APS. The tanks are planned to be deployed to Europe by 2020. Trophy is a hardkill active protection system (APS) developed by the Israeli company Rafael Advanced Defense Systems. It uses four flat radar panels supplied by the IAI Elta Group to detect incoming anti-tank guided missiles (ATGMs) and rocket-propelled grenades (RPGs). Once the vector and velocity of an incoming projectile have been tracked and it reaches the interception distance, a MEFP countermeasure - i.e. multiple explosively formed penetrators - is fired at it, penetrating the projectile mid-air, damaging and detonating its warhead before it strikes the vehicle. Shaped charge warheads as found on the overwhelmig majority of current ATGMs and RPGs loose nearly their complete penetration power when the shaped charge liner is damaged. Studies have shown that a single perforation of the shaped charge liner by a metal fragment reduces the penetration power by more than 70% - the shotgun-like cloud of fragments created by Trophy's MEFP countermeasure should perforate the warhead multiple times and detonate it several metres away from the vehicle, leaving essentially no leftover penetration capacity. This doesn't necessarily mean that the US Army will adopt the Trophy APS in a larger scale: this is just an urgent material request, the United States still are interested in developing and fielding a common modular active protection system (MAPS) architecture, which is planned to combine softkill and hardkill systems and could make use - due to its modular approach - of multiple different countermeasure types derived from currently available APS designs. It should however be noted that urgent material requests sometimes are used by the militaries of different countries to circumvent longer trials and - in some cases - also competition. However the latter doesn't seem to be the case with the US Army opting for Trophy. The US miltiary has been citing the maturity of the system as a key factor speaking for it. Unlike the other APS types tested by the US military, Trophy has been fitted to operational combat vehicles such as the Merkava 4M MBT and the Namer armored personnel carrier (APC) of the IDF. Before ordering Trophy, the US Army apparently found some issues when trying to integrate the components of the active protection system into the M1A2 Abrams MBT. A key factor were weight imbalances, which also were affecting the turret's performance as reported by Inside The Army in early September. At the end of August the Trophy APS had only been tested on a stationary tank, however the full tests representing several real-life scenarios including firing at a moving tank were expected to last only 30 additional days. The Trophy-equipped M1A2 SEP v2 Abrams MBTs are meant for equipping the US Army units in Europe. The advancements of Russian miliary technology and the increased aggression related to the annexion of Crimea has given the US Army a reason to focus on ground vehicles and symmetric conflict capabilties again. Like the Trophy APS, the US Army choose to upgrade a number of Stryker ICV to the new Dragoon variant just to not be outmatched in Europe by the Russian military. 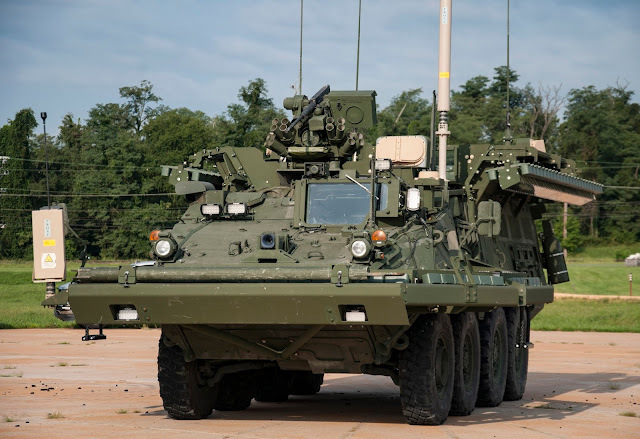 Furthermore the basic Stryker ICV variant will be fitted with Javelin launchers, while a number of options are being considered for short-range air defence (SHORAD). 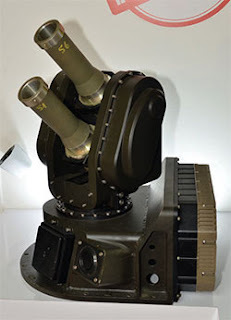 The US Army is still working on testing the Iron Fist APS from Israeli Military Industries and the Iron Curtain APS, the latter setup was designed by the US company Artis following a DARPA contract. Artis has fitted the Iron Curtain APS to a Stryker vehicle, testing is expected to last until the mid-December, when the US Army will decide wether to purchase this system or install another APS on the Styker - in general the Trophy active protection system is also available for the Stryker and it would be beneficial to reduce the number of new APS types to be purchased by the military, as this would easen up logisitics and lower costs; however Trophy's MEFP countermeasure is considered to be less than ideal for use on APCs and IFVs. The Trophy APS was installed on the M1 Abrams tank earlier due to funding being available already in 2016. The United States also planned to test the Active Defence System (ADS) from ADS - Gesellschaft für aktive Schutzsysteme mbH, a joint-venture of the German companies Rheinmetall and IBD Deisenroth Engineering, but didn't have the budget to fund testing of all system at the same time. It is currently not known when or if the ADS will be tested by the US Army - that all depends on the budget. As reported by Defense News, the US Army is still interested in at least another system - understood to be the ADS - but couldn't afford to test four different APS types simultaneously. If the US Army had the budget, it would be testing it now. Rheinmetall approached the US Army after negotiations with the other three contenders were already underway, but demonstrated the system's capabilities multiple times in Europe. In the latest known demonstration, which happened at the end of June in Sweden, the ADS managed to defeat six out of six ATGMs fired at a vehicle. In a previous test in May 2017, two RPGs fired from a very short range were stopped by ADS, while it was proven that the sensors ignore smaller threats such as 7.62 mm bullets. Rheinmetall suggested to fit the the ADS to the Stryker, but the US choose to test the Iron Fist APS on the Bradley instead. Due to the Bradley's limitation regarding electrical power, available space and weight budget, testing the adoption of the Iron Fist APS - probably in the light configuration - was favored to this plattform. First proper tests of the Iron Fist APS on the Bradely are still several months away, as the vehicle needs to be upgraded first. The Netherlands have decided to evaluate the Iron Fist APS for adoption on the CV9035NL IFV. 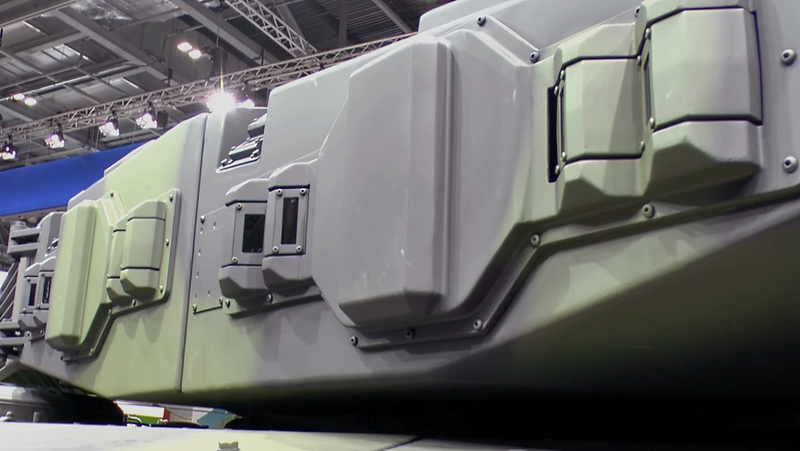 BAE Systems has been contracted to integrate this protective measure into a CV9035 to serve as a prototype, which is expected to be finished in early 2018. This prototype will then undergo testing by the Dutch military, which then might order more Iron Fist systems for at least a part of their active CV90 infantry fighting vehicle fleet, if the results of the testing are positive. At the IDET 2017 defence exposition in the Czech Republic, BAE Systems showcased a CV9030 fitted with the Iron Fist Light Configuration (IF-LC) system for the first time, although this might have been a non-working mock-up. When fitted to the CV9030, the IF-LC APS consisted of two double-barreled launchers for HE-blast grenades, which can defeat ATGMs and RPGs. Meanwhile Germany is evaluating the ADS active protection system for adoption on the Boxer APC as confirmed by a company spokesperson at DSEI 2017. While Germany is not known to be planning the adoption of an APS on the Leopard 2 MBT in the near future, a recent thesis paper published by the German Army's Kommando Heer calls for the adoption of an active protection system and new reactive armor, specifically with the capability to protect the roofs of tanks and other AFVs against top-attack ATGMs. ADS features special roof-mounted countermeasures and sensor units to protect against such threats. One of the Boxer CRVs send to Australia is also equipped with the ADS active protection system in order to provide protection against ATGMs and RPGs. While in tests some of the ADS prototypes were capable to successfully defeat APFSDS projectiles - including some of the latest types according to our informations - the currently offered variants of this APS are not suited to deal with kinetic energy penetrators yet. Most likely the ADS will also be offered as (optional) part of the Challenger 2 lifetime extension project (Challenger 2 LEP), as Rheinmetall - one of the two companies shortlisted to provide an upgrade solution - is also owner of the majority of ADS - Gesellschaft für aktive Schutzsystem mbH. Between May 2005 to December 2006 the UK had a contract with Åkers Krutbruk Protection AB, a Swedish company completely belonging to IDB Deisenroth (the other owner of ADS) for a technology demonstration program of the ADS hardkill active protection system for the FRES. The program was canceled when funding for the FRES was reduced. 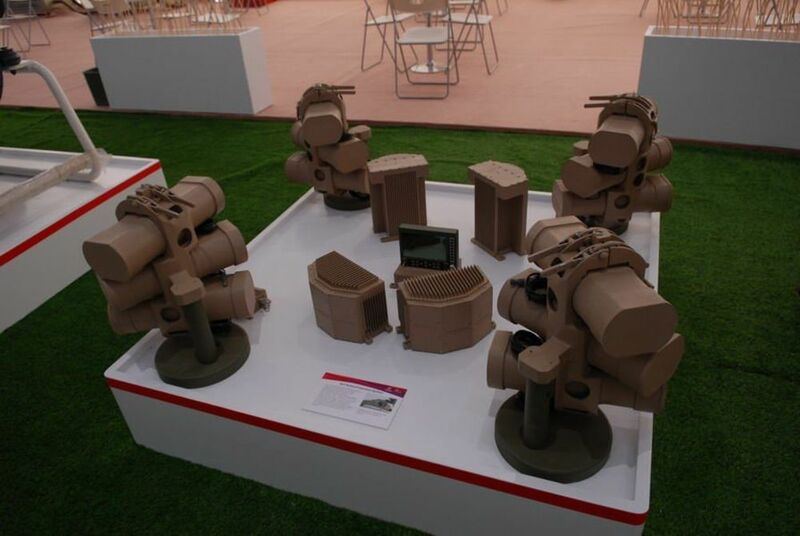 A few weeks ago, China unveiled the GL5 hardkill active protection system. This system is in general conception rather similar to the Soviet Drozd and the new Russian Afghanit APS types. It consists of four radar panels (one mounted at each corners of a vehicle or the turret of a tank) and four fixed "masts" mounted either at the turret roof or at the sides of the turret. Each mast holds three launcher barrels for the countermeasures, set at slightly different angles. This allows the APS to cover the tank's full 360° azimuth with countermeasures, but it must be noted that the GL-5 hardkill system does not provide the ability to shot down top-attack missiles - its countermeasures cover only 20° in elevation. A single control panel on the inside is used to control the system. The system uses HE-fragmentation grenades capable of intercepting ATGMs, RPGs and HEAT rounds fired from tank guns. The interception point is located about 10 metres (±1.5 m) away from the protected vehicle. The radar has a range of about 100 metres - if a fast flying projectile such as an ATGM enters the area covered by the radar panels, it will be fine tracked by the radar and the computer will calculate its vector. If the projectile would hit the vehicle, the countermeasures are launched at a pre-determined interception point. In the 3D simulations from the Chinese manufacturer, a single countermeasure is launched to defeat an ATGM - in the slow-motion footage from a live-fire test, there are however two countermeasures launched to defeat a single incoming ATGM - this might be an error that still needs to be fixed or a weakness of the system, which might require two countermeasures in some cases. How does AMAP-ADS intercept top-down attack missiles when the counter measures uses downward facing shotgun blasts? Did they begun switching to a 2-axis traversing launcher similar to Iron Fist? I assume, but I'm guessing, that they have separate countermeasures aimed upwards. The ADS (it's not called AMAP-ADS anymore) doesn't use downward facing shotgun blasts. Its countermeasures can be directed to the threat. Being able too fire at threats within a certain arc allows the system to have multi-hit capability (the arcs of two countermeasures overlap). As Kristian said, the ADS has top-facing sensors and countermeasures for defeating top-down attack missiles. Are the Swedish ADS tests done privately e.g. by Åkers Krutbruk or is the Swedish military involved in any way? Both. The tests are done by Åkers Krutbruk, but the Swedish försvarets materielverk is involved in them. The system was part of the SEP vehicle project for the Swedish army. There is a video from a few years ago, which shows a Swedish SEP prototype with (AMAP-)ADS being tested. I remember the earlier tests but I was curious if the new round of testing was done in the same way as I haven't even heard any rumors, apart from this blog, about Swedish military testing any active defense systems. Dear Sir, following your blog intensively (especially your detailed analysis APS, which helped us a lot) we would be honored to invite you to a live firing demo on the 7th of March in Unterluess. If this invitation meets your interest, please feel free to contact me under 0049 172 264 66 44. Kind regards, Dr. Ronald Meixner. Aclya sapphire ring $50-$150 cheap but equally beautiful Meanwhile Germany is evaluating the ADS active protection system for adoption on the Boxer APC as confirmed by a company spokesperson at DSEI 2017.